Apo Island remains to be one of Philippines low key gems, despite the fact that it’s slowly gaining popularity among local travelers. Lying off the coast of Dumaguete, Apo Island is a 40-minute boat ride away from the city. Though it’s not as big and as grand as the neighboring islands such as Siquijor or Cebu, Apo Island makes an incredible destination. Most people come here for one thing only– the sea turtles. But surprisingly to me, I found more than that. Why go to Apo Island? 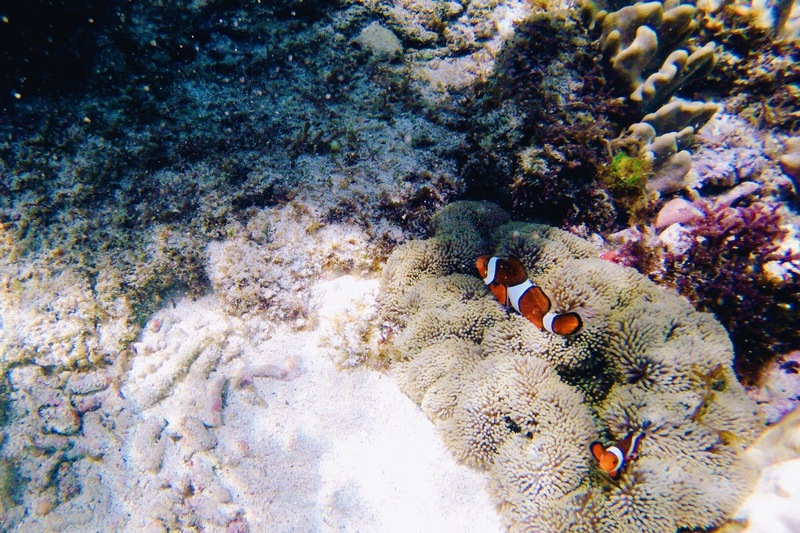 Clearly, Apo Island is known as home to not only hundreds of sea turtles, but also to plenty other marine creatures. This marine reserve is protected by the government and the best thing about it is that there are no sneaky and questionable activities. If there’s one place in the Philippines I would recommend that gives you a chance to be close to the animals but still prioritizes their safety and protection, it would be here. There are no baits used, there are no captives, and best of all, the sea turtles are completely in their natural habitat. And let me tell you that after all the animal encounters I’ve had, this was one of the best ones because of how natural it is. …so how do I get there? The best way to get to Apo Island is by Dumaguete. You can fly straight to Dumaguete Airport. Another alternative route is if you’re coming from Mactan Airport in Cebu, which is what we did. From the airport, take a cab to the South Bus Terminal in Cebu City. find a bus that heads to Liloan Port and from there, take a ferry to Dumaguete. There are plenty of day trip tours that goes to Apo Island with Harold’s Inn being the most popular of all. If you’d rather stay the night in the island, you can also catch a one way ride with Harold’s Inn’s boat for 500 php. Another option would be to rent a boat in Malatapay. To head back to Dumaguete, there are boats that leaves in the morning that you can hitch a ride with for a price. One thing you need to know is that Apo Island is still pretty remote. There are no chain hotels or resorts, which personally I think just adds to the island’s rustic charm. As far as I know, there are two resorts in the island. I didn’t stay in those resorts so I can’t tell you exactly how comfortable they are. However, there are a number of homestays that are cheap and comfortable enough for a good night sleep. I stayed at Mario’s Inn for 500/night. It’s a very basic accommodation with a bed and a fan. The water situation was a little sketchy because there were tiny little worms swimming around the bucket when I used the common bathroom. They took care of the situation and well, this is a remote island so I was expecting a few inconveniences. They don’t have a generator so it could get a little sticky during your sleep. Oh yeah, electricity in the island is extremely limited. …what do you mean no electricity? Electricity across the island only runs from 6-10pm. That means you will basically be sweating in your sleep in the summertime unless you want to sleep outside and risk being bitten by mosquitos. I’m not sure if they have a generator in the big resorts, but it’s a little unlikely since there was none in the restaurant area during the day when we ate there. So how do I chase turtles? Frankly, you don’t even need to chase them because they’re practically everywhere! You can find them in the shallow waters, in the deeper area, and basically all around the island. 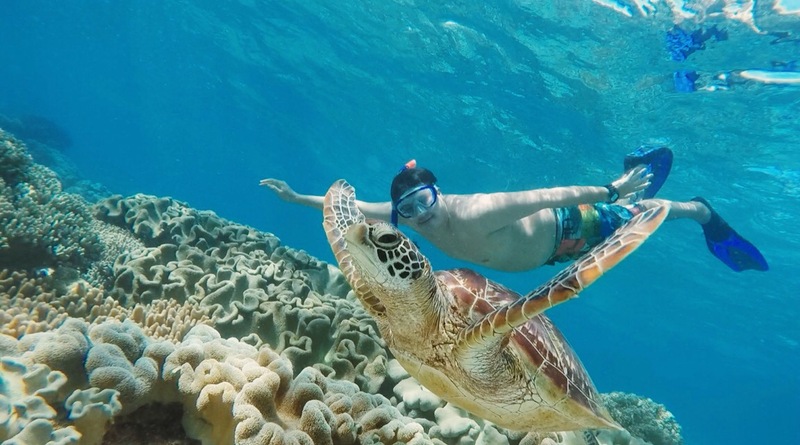 There is a turtle zone where most tourists are. It’s very shallow there so I would recommend wearing water shoes. This area also requires a guide for every 4 people, which costs 350php good for the whole day. You might think you don’t need a guide, but you do. They serve more as a protectors of the turtles. I came across a few stubborn tourists that tries to be sneaky and touch the turtles no matter how many times you tell them they’ll be fined. And yes, you’ll definitely be fined. Murky water in the zone. Go to the deep end instead. The turtles are ubiquitous even outside the zone. If you want a bit more of a challenge, go in the deeper end to search for them. I actually had more fun that way because the corals and the other marine creatures we spotted made it even more interesting. The water is also much clearer in those areas because obviously, less people, less murky water. We spent most of our time swimming around and literally chasing turtles here. I spent the afternoon learning how to finally free dive and stay under water. I know right, I may be a self-proclaimed mermaid, but I’ve struggled with swimming underwater in the ocean until then. Best. Day. Ever. …and is that all I can do in Apo Island? Although most people come here for the turtles, Apo Island is rich in marine beauty in general. The two big resorts offers scuba diving services and though I didn’t get to give it a go, I would imagine it would have been amazing. Apo Island also has a nice white sand beach area on the right side of the island, however, it’s usually packed with the tour boats coming in during the day. Nonetheless, the clear blue water, powdery white sands partnered with unique rock formations are more than enough to spend a lazy day admiring these features. Things are very slow in remote islands like this. And since there isn’t much to do, it’s the perfect place to get to know the locals and to get a clear glimpse of their lifestyle. We’ve gotten to know our guide that day, and he offered to fish for sea urchins for us. We didn’t decline the offer because we’re such suckers for uni, so you can guess what we had for dinner. We spent most of the time in the water though, because we just couldn’t get enough of the turtles! Can I do a day trip instead? Most people do day trips and I think it’s good enough if all you want to is to experience swimming with sea turtles. But if you’re after a legit island experience, I’d urge you to stay the night. Months before this, I backpacked southern Cebu and included Siquijor. It was a dilemma between Siquijor and Apo Island because I wanted to see both. 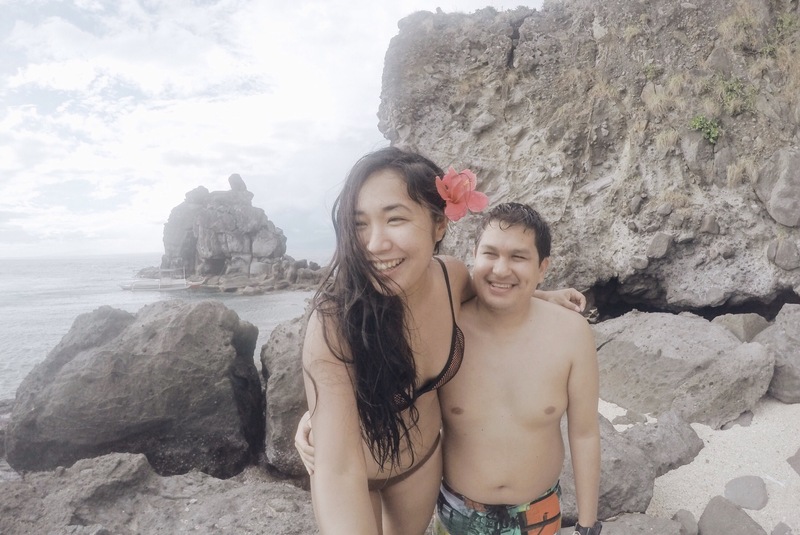 But here’s a good rule of thumb: if you’re short with time, see Apo Island instead. Siquijor is far too magical and one day wouldn’t cut it. If you’re after snorkeling or diving, go for Apo Island. And obviously, if sea turtles tops your bucket list, then Apo Island all the way. However, if you’re after beauty, mystery, and an overall unique island experience, Siquijor will blow you away. But then again, Apo Island’s simple yet authentic island charm will take your breath away too. Actually, the best way to observe turtles in Apo Island is to scuba dive in their dive sites. The ones near the shore are curious juveniles; the shy, big, adult ones are in the dive sites. You can dive there without a license; just ask for a DSD (Discover Scuba Diving) program. 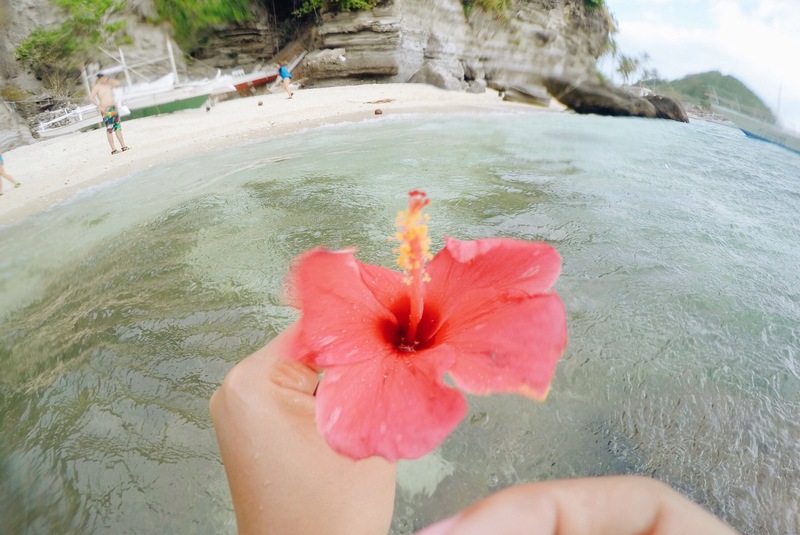 Know that the real gem of Apo Island is below the waves. The dive sites that surround the island are reputed to be some of the best in the world. Cool experience. Would love to do it. Good to hear that they protect the turtles. It’s really important! I actually don’t mind having no electricity or big chains. It’s perfect to stay off the grid and to keep a lot of people out! It’s so good to see the large turtles are around in good numbers. So nice to find somewhere that isn’t too crowded and commercial to experience them up close like that. Apo Island looks amazing! I LOVE sea turtles–they are so adorable, and you got some great photos! I’m glad they have guides to help keep people from touching the turtles. Nice to know they look after the turtles! What a fun adventure! 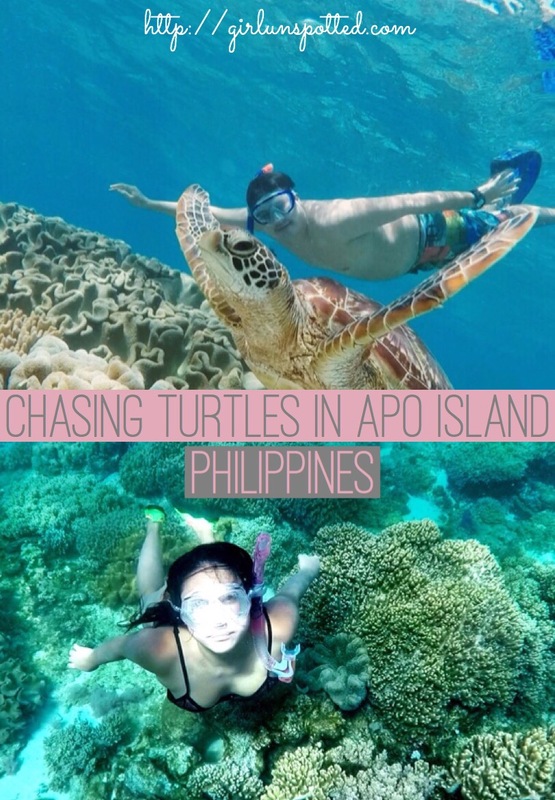 I never knew about Apo island, I’ve been to Siquijor which I LOVED so this will have to be on the next trip I think! I love this post, as I am turtle obsessed! I recently saw some turtles in Mexico at Akumal, but the more the merrier! I definitely will be saving this for reference when I need to get my turtle fix!